Brandon Gray fought tremendously for the past 17.5 years, living with a traumatic brain injury after a car accident in 2001. He passed away Monday, Jan. 21, after contracting respiratory syncytial virus (RSV). He was cared for full-time by his mother, Cari Fonseca, who stayed by his side and ensured he received nothing but the best care. Brandon's drinking and driving accident was followed by many hardships, but what came from the tragedy is how he will be remembered. Because of Brandon, Cari and her husband, Arnie, opened The Neuro Institute, a center where thousands of patients were able to receive physical, speech and occupational therapies and resume their lives. Years later, Brandon and Cari took their message to the streets wearing bright yellow T-shirts labeled with their simple but effective motto: Vow to Drive Sober. Cari pushed Brandon through dozens of full and half marathons, including the Rock 'N' Roll in more than three cities. Their mission inspired so many that runners joined them in their races, forming what is today known as Team Brandon. In schools, Team Brandon touched the lives of thousands of students with powerful presentations on the importance of driving sober. Cari and Brandon became so well regarded that police departments sent officers to assist in the presentation. 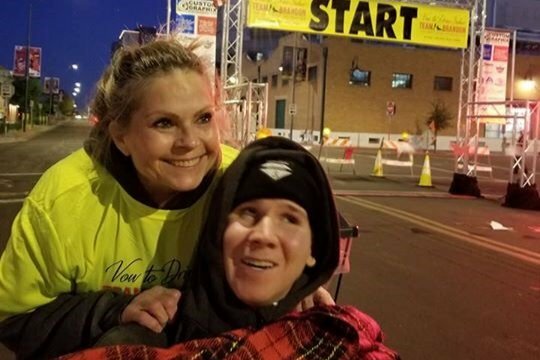 Today, Team Brandon hosts a disability-friendly 5K "Vow to Drive Sober" run in downtown Phoenix. "Runners" can run, walk or ride in their wheelchairs, handcycles and more. Make no mistake: Brandon's family has grown stronger despite all the odds, but it has not been without its hardships. The Neuro Institute could not withstand the financial strain of the economic recession, and after the business went under, Brandon's bills continued to pile up. Each hospital visit in the 18 years since Brandon's accident (and there have been many) has led to hundreds of thousands of dollars in medical bills, and with that, far more stress than one family should ever have to endure. 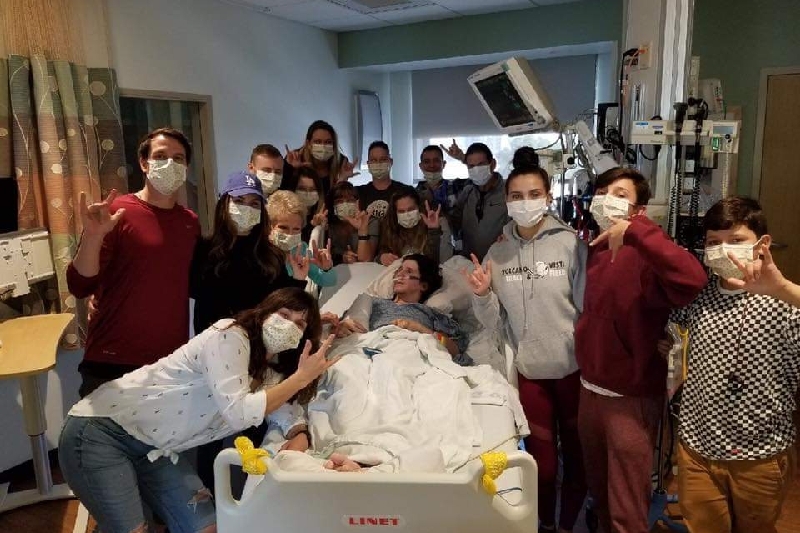 The last two weeks alone of Brandon's being in the hospital has racked up more than $100,000. Watching Cari try to figure out how they'll pay for Brandon's current medical bills and funeral (not to mention old medical debts and their mortgage and groceries and every other life expense) is absolutely heart-wrenching. No family should have to fathom finances in a time of mourning. Brandon's family needs your help. They would love to be able to host all those who have been touched by Brandon's life at a memorial. Additionally, they will need immense help repaying Brandon's medical expenses. Donations from anyone who is able will be greatly appreciated and will allow the family to focus on what is most important at this time: grieving, being together and remembering the good times. There is no amount that is too little. The family of Brandon Gray would like to extend our thanks for everyone who has sent kind words, thoughts and prayers our way. Please join us to celebrate his life and lasting legacy. Following the service we will have a short reception serving light refreshments. We kindly ask that instead of flowers you consider making a donation to The Next Step Foundation Team Brandon. Together we can save others from making destructive choices to Drive under the influence & save lives! The service will be at Christ Church of the Valley 7007 W. Happy Valley road. On February 22nd 3:30 pm to 5:30 pm.